Roy Hall is an authorised representative no. 254281 of ClearView Financial Advice Pty Ltd (“ClearView”) AFSL No. 331367. Roy is dedicated to helping people create and preserve wealth. The key to his success is the personal approach he takes to assisting clients with a wide range of services including comprehensive financial planning and risk management. He is well qualified to advise clients and has been helping them make appropriate decisions about their future since 1993. 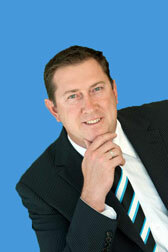 As a result of the professional advice and service he provides, Roy has built a loyal following of satisfied clients. His practice continues to flourish thanks to clients recommending him to friends, family members and business associates. Elyse Freeman is an authorised representative no. 0012675761 of ClearView Financial Advice Pty Ltd (“ClearView”) AFSL No. 331367. Elyse has worked in the financial services industry for the past 12 years. Elyse is responsible for managing the Financial Planning clients alongside our financial planner Roy Hall. She provides support for Roy assisting with the preparation of Statement of Advice documentation and implementation of strategies for clients. Elyse has recently completed her Diploma of Financial Services (Financial Planning) and is now also assisting the business with providing professional advice for our clients. Click here to access the current Financial Services Guide (FSG) for Elyse.